Managing employee time and attendance, enforcing employee schedules, and generating payroll reports has never been this easy. 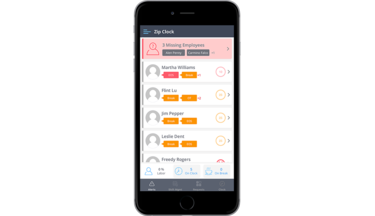 The Zip Clock employee time clock software gives much-needed visibility to managers allowing them to enforce labor laws and organizational business rules better. 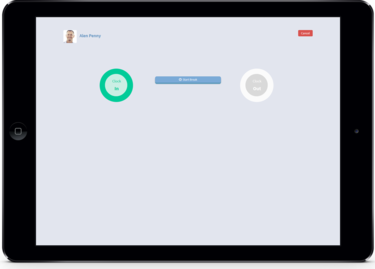 Start managing employee time and attendance in the palm of your hand. "Zip Clock saves a lot of time and gives me peace of mind. I can monitor employees clock status from my phone instead of trying to track them down in the store. The clock dashboard tells me everything I need to know for example who’s on the schedule, who’s late, who’s supposed to be on break, and who needs to clock out." 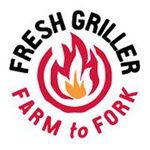 "Enforcing labor rules and evaluating employees adherence to the schedule before Zip Clock was a nightmare. Now I get the real-time employee performance data I need to manage my stores successfully. 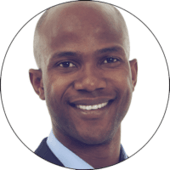 I can track employee time punches and then quickly publish payroll reports to import into my payroll processing service." "My organization noticed that employee productivity had dropped, but we didn't know why. Zip Clock made us realize that there are many ways employees steal time and with nothing to alert us when breaks and overtime were approaching this was bound to continue happening. We've already seen a 3% reduction in labor costs." Web based employee time clock software that simplifies time and attendance. Try it free. Know who is on the clock and sticking to their schedule. When a crew member doesn’t show up for work, you need to call in a replacement. 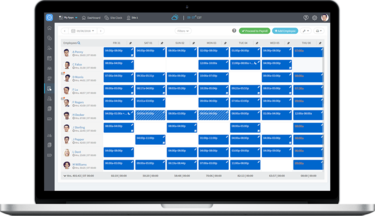 The Shift Management screen displays everything required to find the right replacement quickly. All available employees are listed with their weekly hours, projected hours to overtime and ACA violations, and their phone numbers. Clicking on their name displays their remaining schedule for the week so you can make sure you’re not scheduling anyone into overtime. Zip Clock saves money by prompting you before labor law violations occur, allowing you to be proactive rather than reactive to changing conditions. Avoid pesky labor law fines by quickly suggesting breaks or clock outs when an employee approaches a break or daily overtime violation. We understand that employees sometimes forget to punch in and go right to work, or they forget to punch out before leaving at the end of their shift. That's why we give you the ability to edit these punches. You can also set Zip Clock to allow employees to edit previous punches within the current payroll period. Of course, all edits are subject to manager approval. Before finalizing payroll, you can identify time punch violationsto make sure you’ve factored in the correct amount of extra pay to avoid potential labor lawsuits. Be prepared for audits with Zip Clock and track all employee time punches and edits. Know when punches are edited and see a history of all applied changes. Know whether or not your employees are being compliant with labor guidelines with one glance at your phone. Gain visibility that you never had before. Be aware of your employees’ status with labor guidelines from anywhere at anytime. 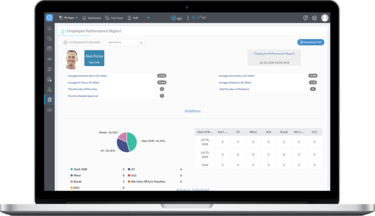 With our Employee Performance Report, observe your employee’s performance over a selected time period with respect to labor law and schedule violations while comparing actual versus scheduled hours. Compare actual hours and labor costs against scheduled hours and scheduled costs by day and week. And if you have Zip Schedules, see your sites time punches variance to the schedule. Mobile Employee Time Clock Apps - Easy and Free! Manage employee time and attendance in the palm of your hand. Know whether or not your employees are being compliant with labor guidelines with one glance at your phone. Gain visibility that you never had before. Be aware of your employees’ status with labor guidelines from anywhere at anytime. Zip Clock helps you replace missing employees. Get notified when employees miss a shift and get ratings for potential replacements. With the app you can quickly fill shifts by calling the best avaialble replacement. Spend more time growing your business. Zip Clock automatically sends your employees notifications to remind them to take a break or clock out so you don’t have to do it yourself. Have more time available for more important tasks and responsibilities. Zip Clock works on your iPad or Android tablets and mobile devices. For a few dollars a month, you can eliminate employee time theft and avoid labor law breaches. "Our managers needed help with employee scheduling. We were using Excel and emailing the schedule out to our staff. But, when we tried Zip Schedules we realized how many hours we had been wasting with the timely task of handling shift changes and other employee requests. 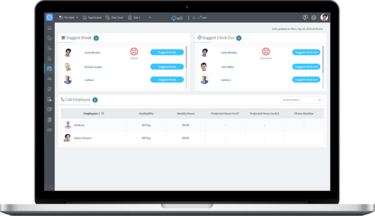 Now we schedule employees faster, with more accuracy and more flexibility. The free mobile apps have made our whole team feel more appreciated and more engaged. 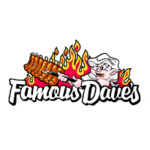 Our customers are more satisfied than ever before." "Zip Clock allows me as their supervisor to manage and track attendance. The mobile app gives me the ability to remotely track who is in the office, so I am never left wondering when or if employees are at work. 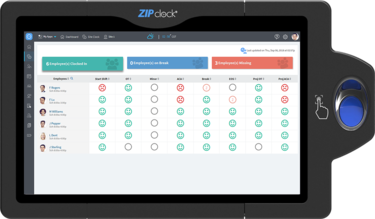 I would recommend Zip Clock to anyone with a busy schedule who is in charge of supervising multiple employees."